This past Sunday the High Reverend Chris spoke truth into my soul. He gave an illustration of going to the white sandy beaches in Florida on a sun filled day without your sunglasses. You cannot see it is so bright! Squinting your eyes and only allowing a fraction of the light to enter is the only solution. Even then you have to completely close your eyes after a brief time-it is so bright--it is blinding, but OH, the beauty of it all! 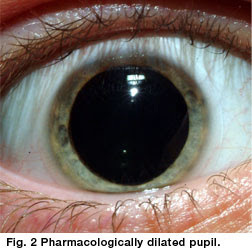 This reminded me of my recent cataract surgery and the results from the dilation of my eye. Twenty four eyes later I was still wearing my darkest sunglasses for the brightness was painful. My eyes had been opened and the sun was overwhelming. So it is with God's glory--our human eyes cannot bear His radiance. We are working through the Gospel of Luke and parked in the ninth chapter for the transfiguration of Jesus. and His raiment became white and dazzling. They saw the glory of God while gazing upon Jesus. We were reminded Jesus is our access to God. We will see the radiance of God when we encounter Jesus be it through the Scripture, prayer, or our Spiritual Community. If we see Jesus, we see God. and the exact imprint of His nature. Chris spoke of the radiance of God which shown upon Moses when he came down from the mountain. Over time God's radiance faded from the face of Moses, and I began to ponder why? My explanation--Moses was once again in the world of man and the world came between God's radiance and Moses. A long shadow is cast between us and God when we turn our eyes away from Him unto the world. The challenge becomes turning away from the world and spending time enough seeking Jesus that we are soaked in the brilliance of God. Just as a sun tan only remains if we continue to seek the sun, so it is with God. We must seek Him to maintain His radiant glory upon our countenance. May we all soak in the Son daily is my prayer that we might enjoy the radiance and splendor of God's glory. I have seen that brilliance on people. Me too, Sandi! What a blessing! Yes! The radiance of the Lord! May we all seek that, Lulu.